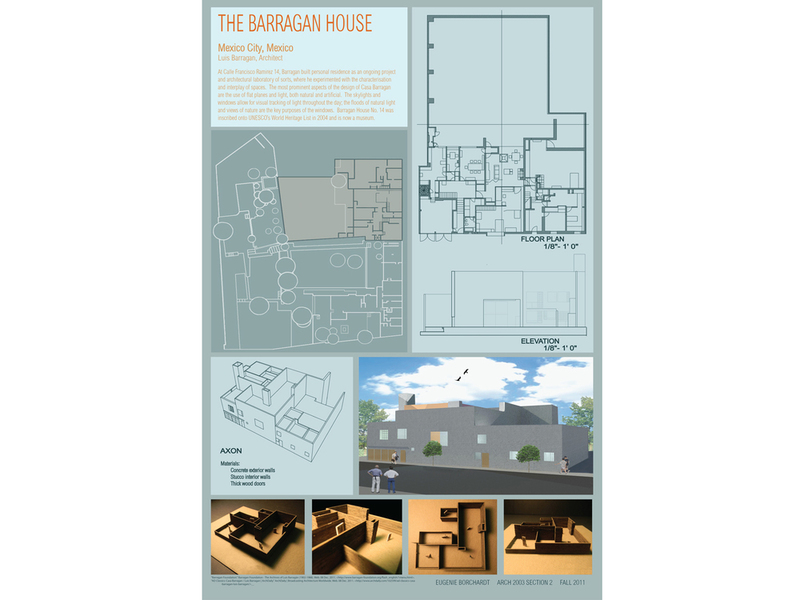 This is a case study of the Barragan house in Mexico City designed by architect Luis Barragan. AutoCad was used to create a floor plan and elevation of the front facade of the house. 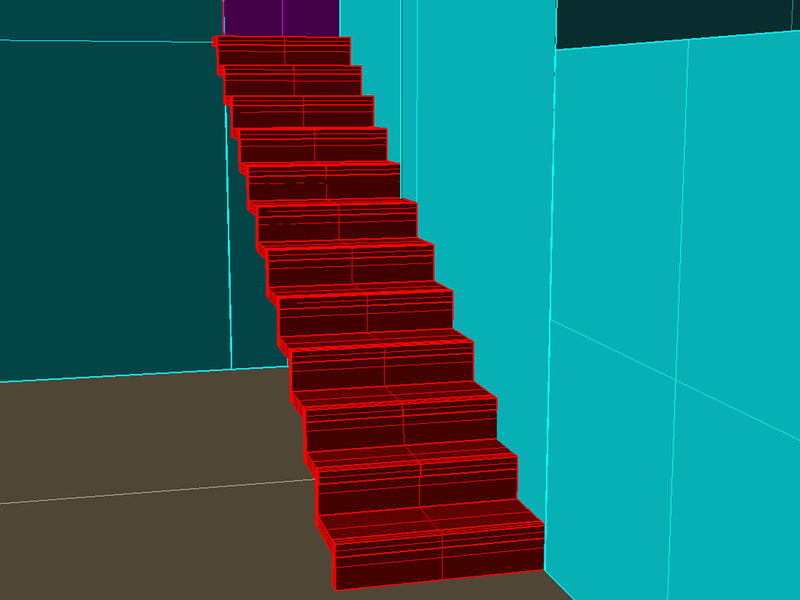 In Rhino, a 3D model and a specific view of one aspect of the building was rendered, in this case the main stairs. Photoshop and 3dsMax were used to create a rendering of the building that shows its materials as well as its surrounding environment. An important aspect of the house is the roof and patio structure. 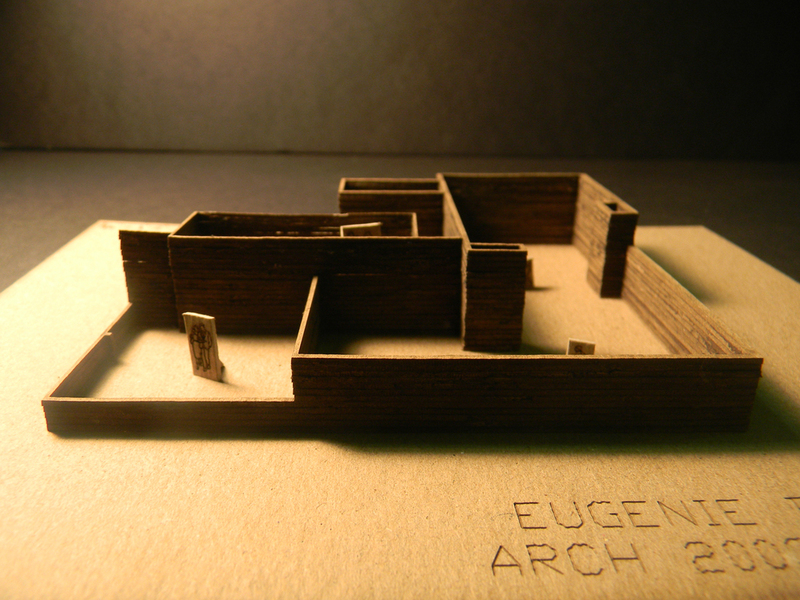 Using the laser cutter and the contour method, a rendering of the various roof and patio areas was created.